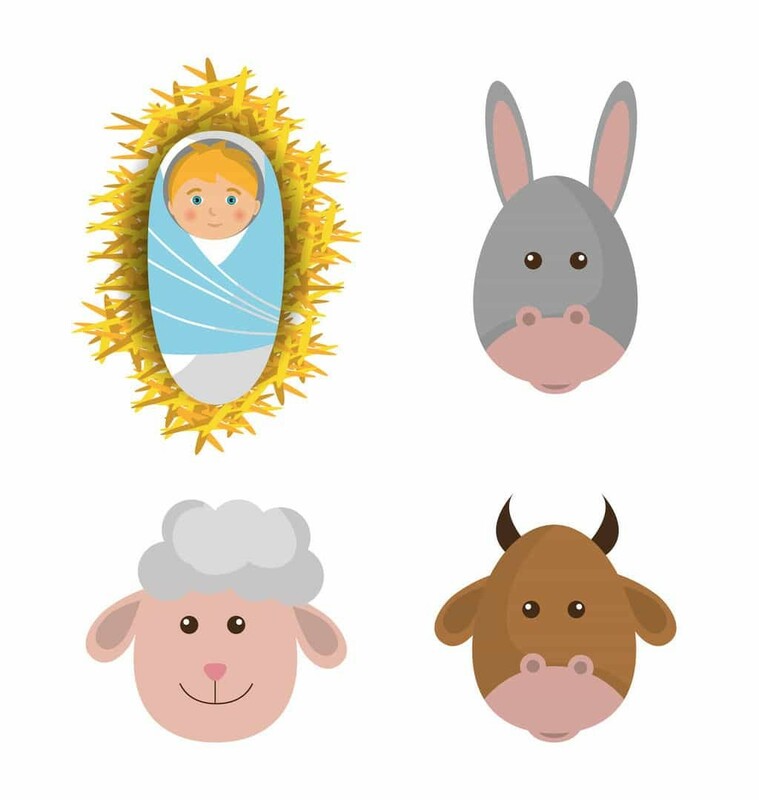 Celebrate the birth of Jesus with these Christian Christmas games for your classroom or home. Gather the pieces of your classroom Nativity set. Place them on a tray and have the children close their eyes. Remove one of the pieces and have the children see if they can figure out which piece is missing. After the missing piece is discovered, talk about its significance in the Nativity. For example, if you remove the angel, ask the children what the angels did that we remember at Christmas time. My children love to ‘play’ this game and by using the pieces of the Nativity it will reinforce the message of the Christmas Story. Upon returning from Christmas break, I had all the children sit on one side of the room. We had talked before Christmas about how long the journey was for the wise men and that Jesus was not in the stable when they finally reached him. We talked about them following the star. I have three wooden carved wise men that we pass around and look at, then I have divided my room into 2 areas. We talk about following the star, so to keep the children moving but also understanding, I have two flashlights that I shine on the floor or walls. Two children at a time, each in an area, are to either step on the light or touch the light with their hand. The idea is to keep them moving but also understanding the concept of following the star. Those children waiting their turn can be the cheerleaders. Be careful that you keep the 2 lights far from each other so the children don’t bump. Before you start class, cut out several circles from construction paper. Draw happy faces on them. Also, map out a long winding road around your room by putting masking tape on the floor. Lay the happy faces in various spots along the “road”. Have the children play “Follow the Leader” as they “go to see baby Jesus.” Each time the leader comes to a happy face, they should hold it up. Everyone then would the says ” I am happy baby Jesus was born! Thank you, God for baby Jesus! I play this game with toddlers. They love it. You and another teacher or child make a bridge with your arms. The children will walk in a circle, passing under the bridge, while you sing together the following words to the tune: “London Bridge”. We have happy news to tell, news to tell. We have happy news to tell. We have happy news. On the last line, bring your arms down to ” catch” a child. That child then tells the happy news: Jesus will be born! Continue until each child has had a chance to be “caught” and tell the happy news. Have a clipart representing JESUS and add double-sided tape to the back. Blindfold the children and have them “Place JESUS in the manger”. The week before Christmas, we are usually on the letter L. For this we play a game with the children that has them sharing the gift of love with the friends in our classroom. We use a special giving chair (any chair will do) that faces the group of children and have a wrapped box, or hinged box, that they fill with hugs and kisses (blown from where they sit). We close it up and one child at a time sits in the giving chair and shares the love of God with others by giving their friend a hug, pat on the back or handshake. We say I want to give___ a hug, then that child comes up, receives it and then sits in the chair to take his turn. No kissing is allowed, for fear of spreading those nasty germs!=)They love it and have wanted to play this over and over again. It is a good way to calm them and help them focus on caring and sharing the love of Jesus.